I'm breaking my Geelong Mourvedre duck here. How much Mourvedre is in Geelong I wonder? A fair question I suppose, one I should throw to Stu Dudine the maker of this stuff. Regardless, one whiff and this has my attention. 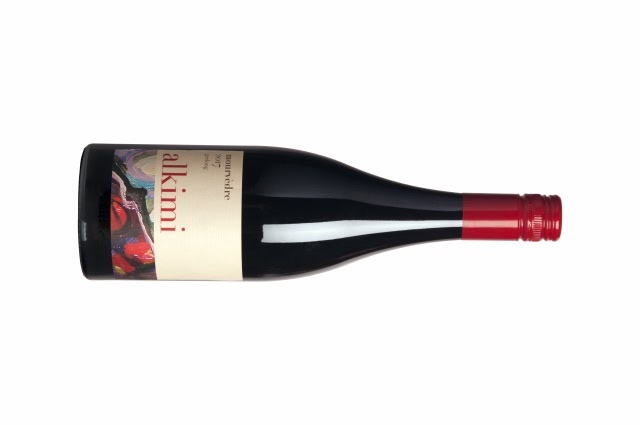 Sourced from a Single Vineyard called the Rowsley Fault Vineyard, this is Dudine's first tilt at a Geelong Mourvedre. It's an unirrigated site on the Moorabool River. One-third of the fruit sealed in a tank where carbonic maceration on skins took place for three weeks. Matured in old oak and bottled unfined and unfiltered. Quite a light Mourvedre, that's for sure. Many expect such wines to be gutsy and weighty - not so here. Coming in at 13.5%, it seems quite dancy to use a term. Agile on its feet and beautifully medium bodied, it skips about without obstruction. There's much to admire about its flow. Bright red berries and red summer fruits, that typical Mourvedre earthiness can't hide for too long, however. Blueberries crawl out with more time in the glass as does some citrus peel and char. Enchanting spices at the death just stick and urge you back for more. Quite a versatile wine, pop it in the fridge in the warmer months to open another range of possibilities. A great drink.